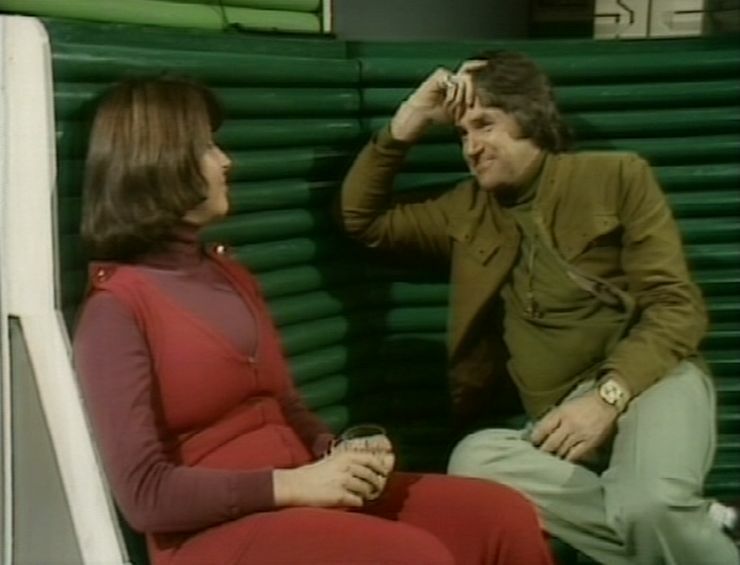 Last year I blogged a quick overview of Moonbase 3 where I mentioned that it’s a series that I like to revisit most years. Quite why this is, I don’t know, as I own many other series that are, by any quantifiable reckoning, “better” programmes than Moonbase 3, but they don’t get viewed nearly as often. There’s just something about this series that I find both compelling and comforting. As I work my through the six episodes again, perhaps I’ll work out why I enjoy it so much. Partly, I think it’s the 1970’s sci-fi vibe. 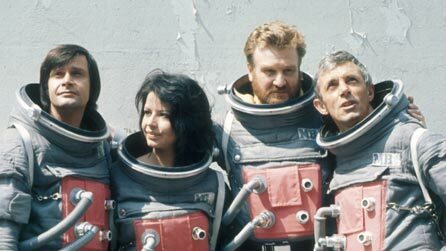 If you love Doctor Who of this era, then there’s plenty to enjoy in Moonbase 3. 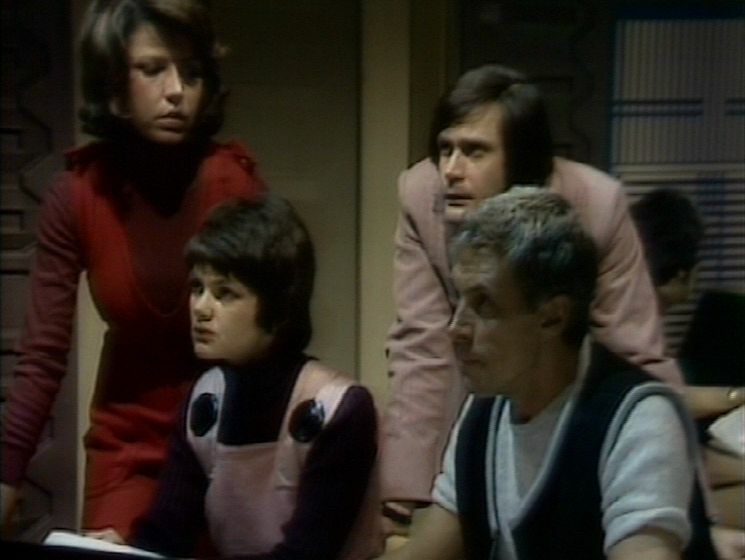 They’re totally different series – Moonbase 3 tended to deal with fact, not fantasy – but there’s many familiar faces who had made notable appearances in Doctor Who. And Dudley Simpson’s music is, of course, another very Who-ey connection. The year is 2003 and there are five Moonbases – the Americans, Russians, Brazilians, Chinese and Europeans all have one apiece. 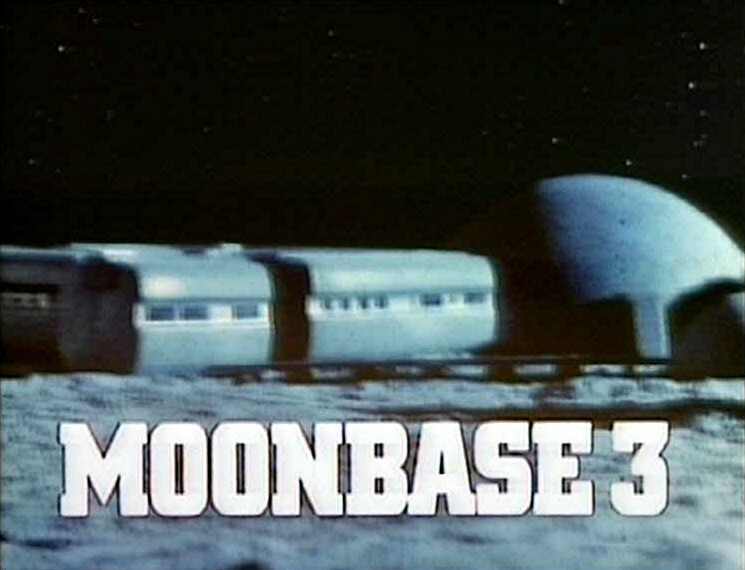 From the opening scene though, it’s clear that the European Moonbase is struggling to keep afloat. Money, or the lack of it, is the problem. 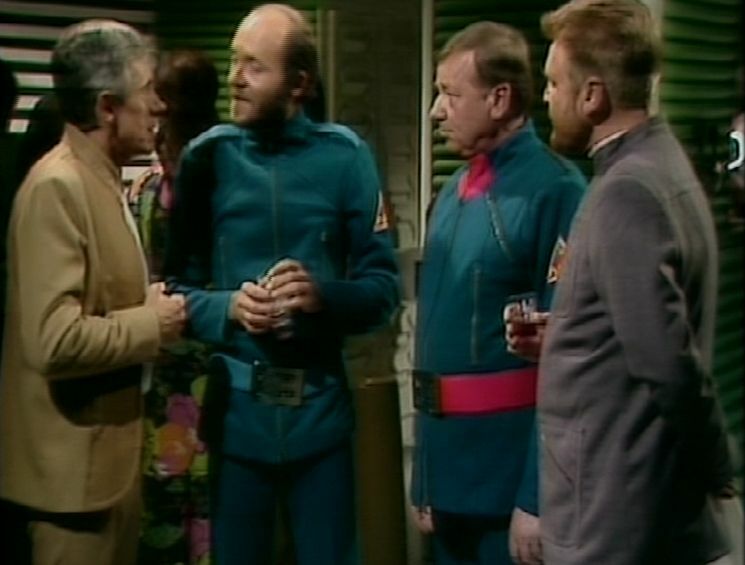 The European Moonbase director Dr Tony Ransome (Michael Lees), can only look on enviously at the American and Russian bases, which have all the facilities they could possibly need. When the director is killed in a shuttle crash, the political storm is another threat to the survival of Moonbase 3. 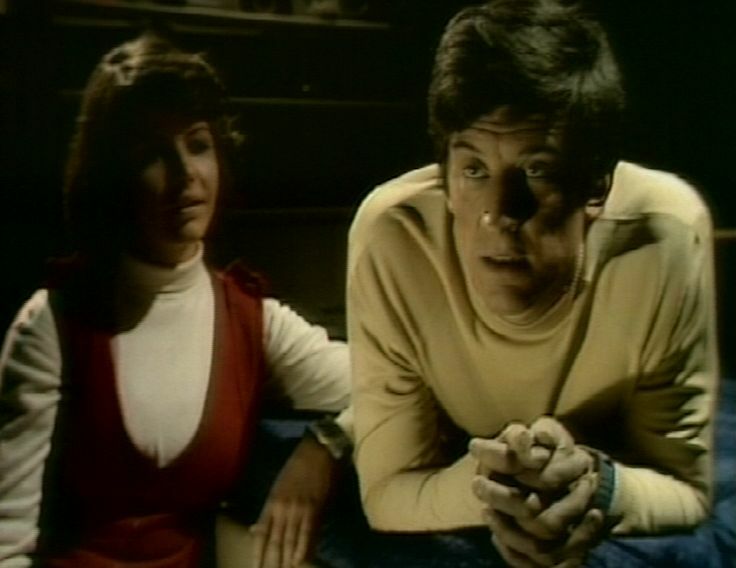 The shuttle pilot, Harry Sanders (Michael Wisher), had been rated as their top pilot, but psychologist Dr Helen Smith (Fiona Gaunt) had vague concerns about him. These weren’t enough to persuade Dr Michel Lebrun (Ralph Bates) to request his removal though. 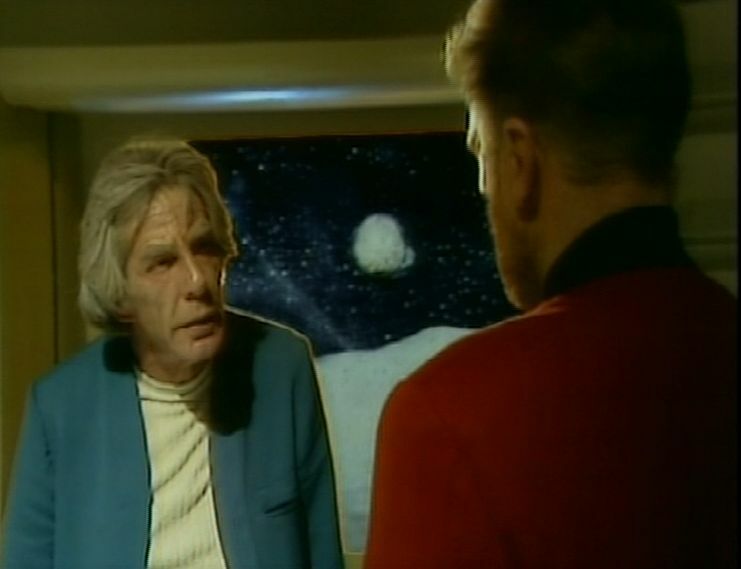 As the episode then revolves around the new director, Dr David Caulder (Donald Houston), arriving to initiate an enquiry into the accident, it’s worth taking a moment to consider the actions of both Helen and Lebrun. Helen seemed convinced that Sanders would be removed from duty, but Lebrun was unwilling to do so – as she’d offered no clear reasons why. Helen agreed that there was no evidence, just her instinct, but as the base psychologist you would have assumed that even a vague doubt would have been enough to initiate Sanders’ replacement as pilot. The characters of both Helen and Lebrun are therefore quite sharply defined very early on. Dr Smith operates on instinct (although we’ll see several later examples of her poor judgement, which makes you wonder how she manages to keep her job) whilst Dr Lebrun is very much a by-the-book character. If Helen had given him a clear report (rather than just suspicions) then he would have acted – otherwise he wasn’t prepared to do anything. 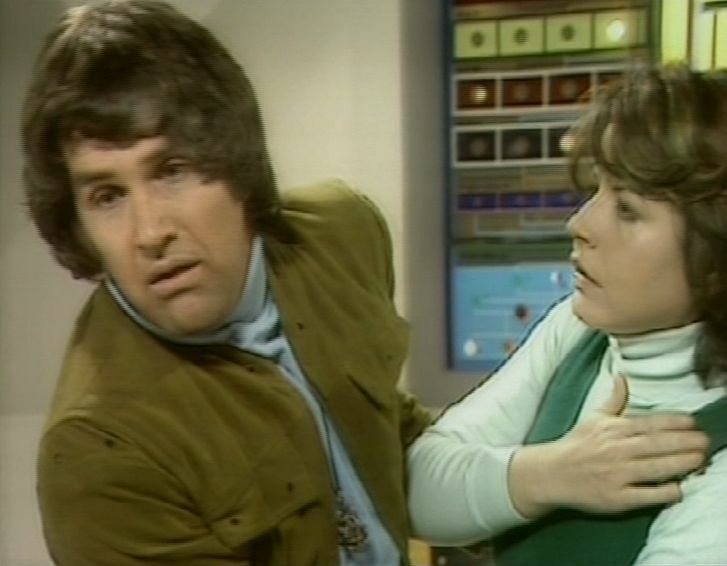 Michael Wisher, who’d already made several notable Doctor Who appearances (with his memorable turn as Davros a few years in the future) is good value in the small, but key, role of the increasingly twitchy Harry Saunders. At first, he seems fine – just a little tetchy at being delayed. 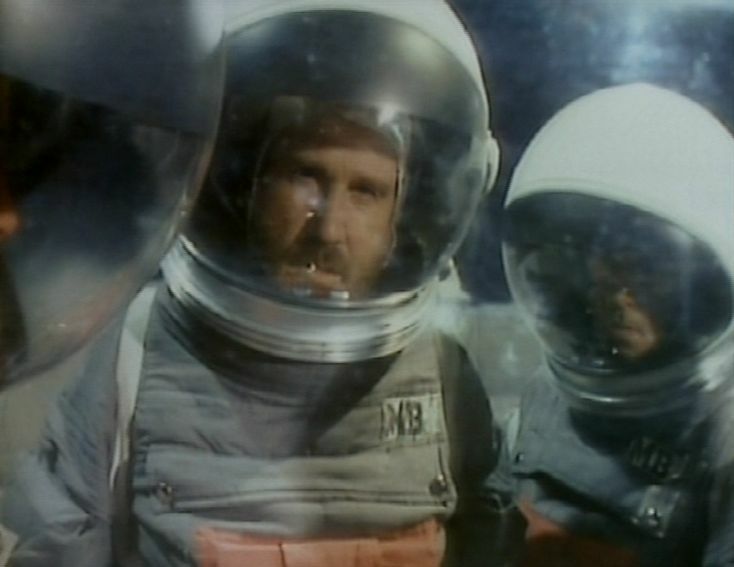 But once the shuttle lifts off and Lebrun, Smith and Tom Hill (Barry Lowe) on Moonbase become concerned, we see Saunders become more and more paranoid. The theme of Departure and Arrival is how fragile life on the Moon can be. Just one weak link, like Sanders, can spell disaster for everybody – which is something the new director, Dr Caulder, tries to impress on the senior staff. The fact that he does so in such a bizarre and risky way does rather undermine his point though! Before that, Caulder’s arrival is a useful dramatic device since it allows the viewers to follow him around as he’s introduced to the various different sections of Moonbase 3. Donald Houston is very bluff and very Welsh here – Caulder doesn’t actually call anybody “boyo”, but you get the feeling that he could do so at any moment. One nice touch is that on his tour he’s introduced to various scientists such as Dr Peter Conway (John Hallam) and Professor Heinz Laubenthal (Peter Miles). Both of them will appear in upcoming episodes, so seeing them briefly here helps to sell the illusion that all these people are really working closely together. With most episodic series, the guest-cast will change from episode to episode – meaning that each week we tend to meet new people but never see them again afterwards. Caulder tells Lebrun, Smith and Hill that he holds all three of them responsible for the deaths of Ransome and Saunders and they’ll all travel back to Earth by the next available shuttle. But shortly after taking off there’s a problem and the shuttle has to make an emergency landing back on the Moon’s surface. Incredibly, Caulder has staged this in order to make the others understand just how dangerous the Moon can be. The fact he nearly gets them all killed whilst proving his point seems to pass everyone by. Indeed, it’s remarkable that nobody suggests they should hold anothet enquiry to examine his reckless actions which so nearly resulted in another tragedy. Although the Moon’s surface is a little springy, that doesn’t detract too much from the tense closing moments, which are nicely directed by Ken Hannam. 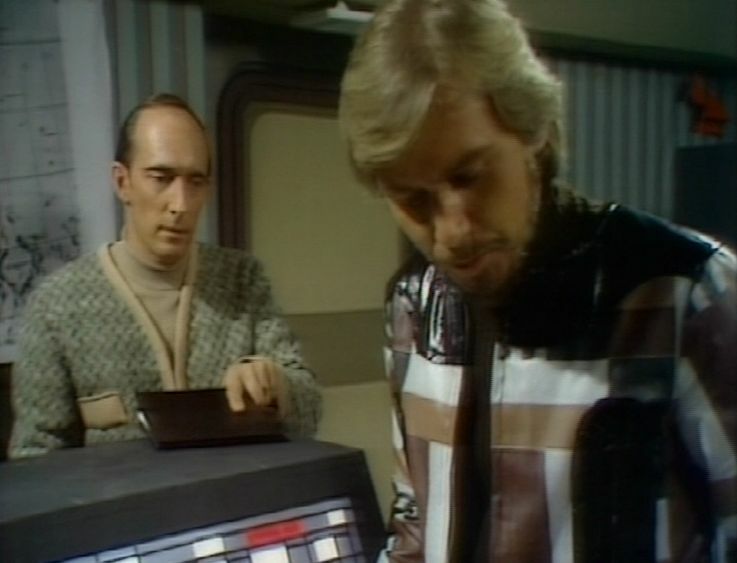 Once they’re rescued in the nick of time by the American Moonbase commander (played by Robert La Bassiere, whose most prominent credit on his limited CV was as a Kroton in a Patrick Troughton Doctor Who story) Caulder tells them that they’ll be no further action taken. In his opinion, nobody but Saunders was responsible for the accident. It’s a bit of a slow-burn, but Departure and Arrival is a decent set-up episode, especially it brings the main characters into clear focus.